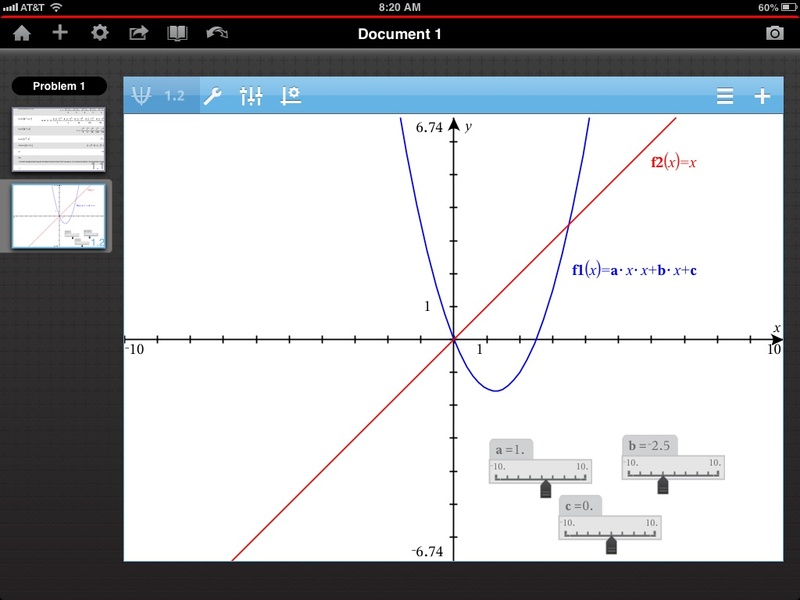 On Saturday, 31 May 2014, Texas Instruments (@TICalculators) and @HawkenSchool are hosting a FREE TI-Nspire iPad Workshop at Hawken’s Gries Center in Cleveland’s University Circle. 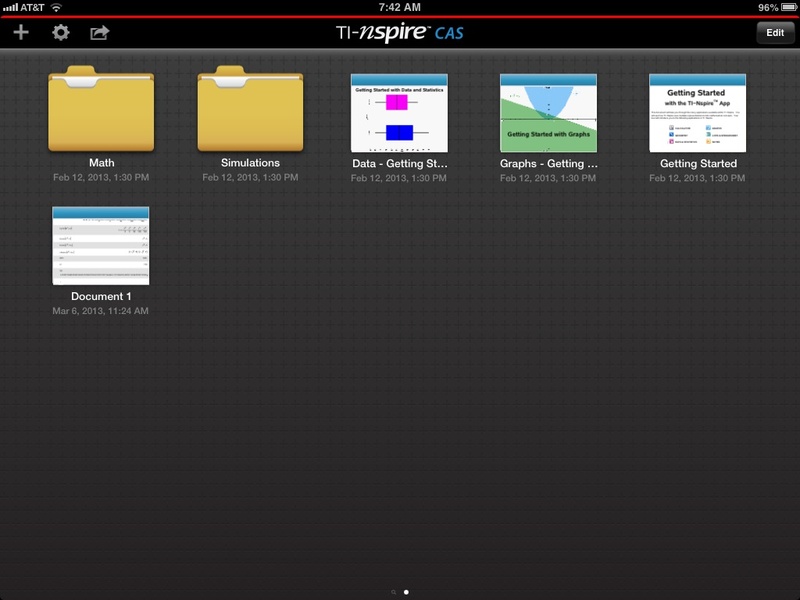 The workshop is designed for educators who are interested in or are just beginning to use the TI- Nspire App for iPad® (either CAS or numeric). 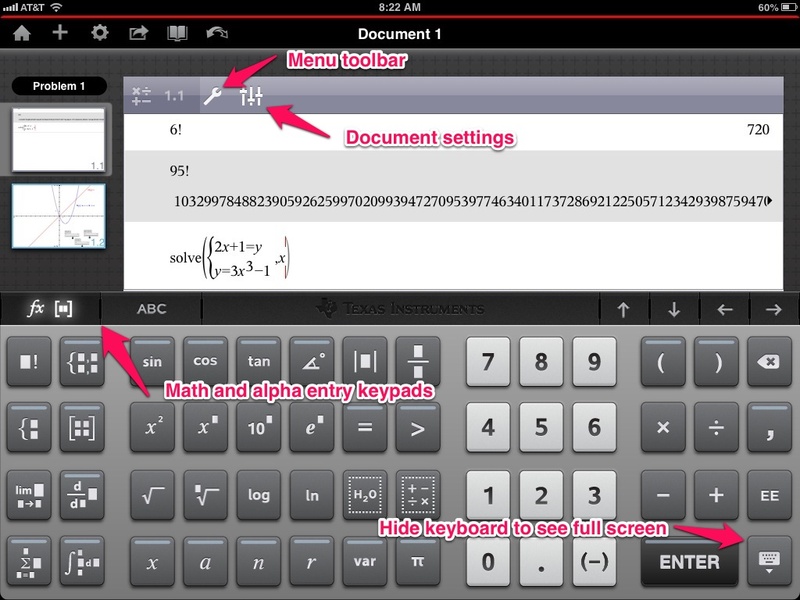 It will cover the basics of getting started and teaching with the Apps. Tom Reardon will be leading the training! Sign up for the workshop here. A pdf flyer for the workshop is here: iPad App Training. Here’s a short post to share two great tools for students to learn algebra–long before any formal algebra course and without seeming like you’re even learning algebra. ACTIVITY ONE: The first is a phenomenal recent set of posts on Imbalance Problems (here and here) from Paul Salomon. If you’re on Twitter, interested in math or math education, and haven’t already, you should definitely follow him (@lostinrecursion). Paul is (or was) hosting an Imbalance Problem competition (mentioned at the end of his first post on imbalance problems), but the following image from his post gives the general idea. Can you figure these out? Better yet, can you write some of your own? Can you encourage your students (or kids) to create some? The process of thinking about the values of the unknown measures of the circles, squares, and triangles necessary to create these puzzles lies at the very heart of the concept of unknown variables that is so critical to algebraic reasoning. Best of all, this feels like a game, and puzzle solvers don’t even realize they’re learning algebra. ACTIVITY TWO: Several months ago, a Westminster alumnus (Thanks, Phillip!) suggested an iPad app that my 3rd grade daughter instantly fell in love with–Dragon Box. The app is available for $5.99 on both iOS and Android platforms. Jonathan H. Liu (@jonathanhliu) wrote such a great overview of the play on DragonBox for Wired. 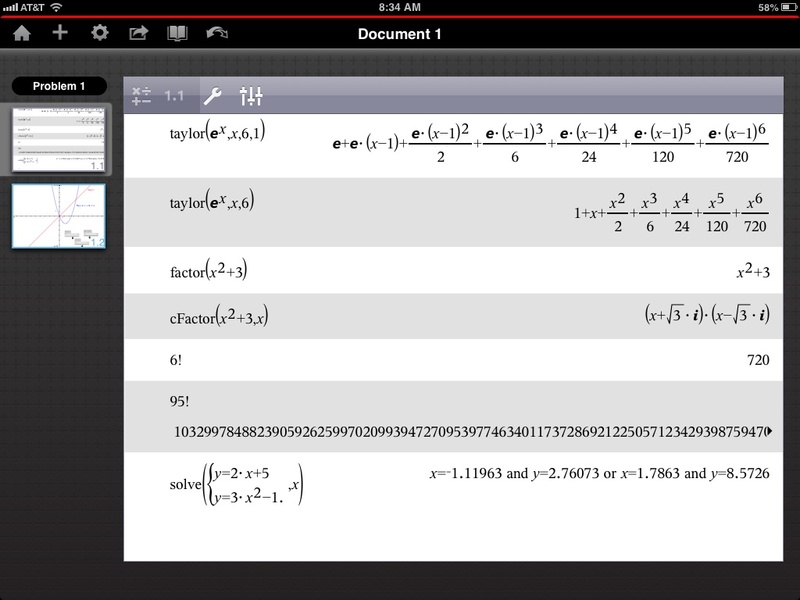 Rather than trying to imitate his post, I recommend you read his review: DragonBox : Algebra Beats Angry Birds. As a math teacher, I certainly can appreciate the game’s end-of-level challenges to get the box alone (solve for a variable) in the right number of moves (efficiency) using the right number of cards (also efficiency). Still, there were a few times when I noted that a particular scenario could have been solved using a different sequence of equally-efficient moves that were not appropriately acknowledged as such by the software. My teacher side wasn’t particularly pleased with the only-one-way-earns-top-recognition approach of the app, especially when other alternatives are equally valid. Too many times, I fear students are faced with similar scenarios in their math classes. Efficiency and elegance are certainly valuable skills in mathematics, but I think we too often try to impose rigor on young learners long before they have achieved basic understanding. CONCLUSION: I hope you get a kick out of Paul’s imbalance problems (no matter what your age) and DragonBox if you have some younger kids around. As always, make learning fun and not obvious–your charges will learn in spite of themselves! I mentioned in my Air Sketch review last week that one of its biggest drawbacks, IMO, was that I could not use multiple blank pages when running the app. PROBLEM SOLVED: I created a 10-page blank document in MS Word by inserting 9 page breaks and nothing more, and printed that doc to a pdf file in Dropbox. From my Dropbox app on my iPad, I open the 10-page blank pdf into Air Sketch. Voila! I now have a 10-page scrollable blank document on which I can take all the notes I need! 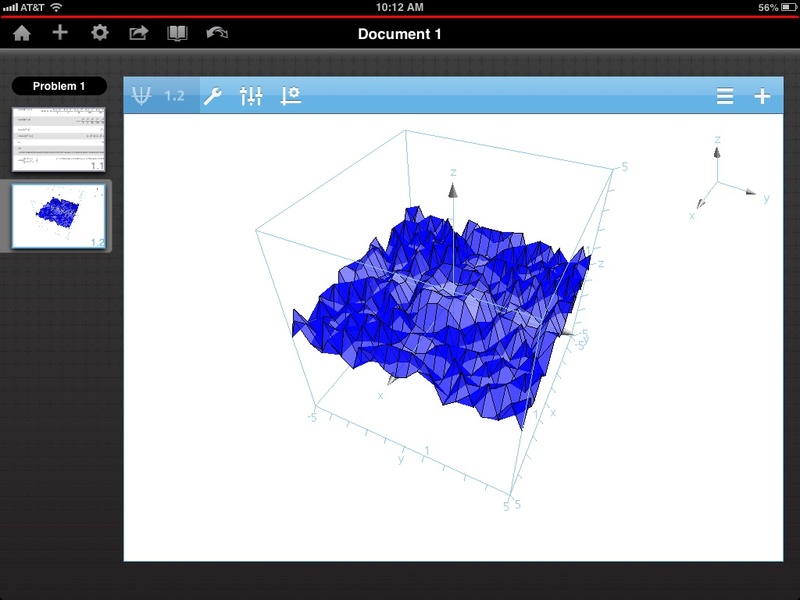 As a pdf, Air Sketch and compress any inking into a new pdf and save it wherever I need. Obviously, I could create a longer blank pdf with more pages if needed, but I couldn’t see any classes going beyond 10 pages. I still don’t get some of the hot linke or multiple image tools of SMART Notebook (see below), but this work-around clears a major usage hurdle for me. It would be very cool if I could copy-paste images within Air Sketch–something akin to cloning on a SMART Board. Also, while I can import images, it seems that I can operate on only one at a time. Inserting a 2nd erases the writing and insert of a previous image. It can be undone, but I still get just 1 image at a time. Worse, inserting an image takes me out of editing my 10-page blank pdf, so I can’t layer images on top of my pdf files in the current Air Sketch version. These issues aside, Air Sketch remains a phenomenal piece of software and MY STUDENTS LOVE IT! I hope the Air Sketch editors take note of these for future editions. Aside: Another teacher at my school independently discovered one of my suggestions in my first review of Air Sketch–that you can run one piece of software (as a math teacher, I often run CAS, nSpire, or statistical packages) through the projector while my students keep the written notes on their laptops/iPads/smart phones via the local Web page to which Air Sketch is publishing. Having two simultaneous technology packages running without flipping screens has been huge for us.